The flamingo was the most colorful spot in the gray city. He was living in his own pink world, and he was very lucky that he was not gray. He was living with a girl who loved him very much. Sometimes he missed the company of other flamingos. The girl always comforted him. They had a lot of fun together, but he wondered if he was the only flamingo. She tried to fill his world with other pink things. The girl told him that she would discover other flamingos for him. She had to search the whole gray world. Finally she found other flamingos and invited them to her balcony. All of them were very lucky there and promised to stay forever in their pink world. The rosy feathers and the long neck make the flamingo a very fascinating animal. They always look a little bit fragile on their thin legs and children wonder how this animals get their pink colour. I have to think about summer on a beach with coconut palm trees, when I see the picture of a flamingo. But they are not just amazing animals: Made out of plastic the flamingo is one of the most widespread lawn ornament in the United states as well. 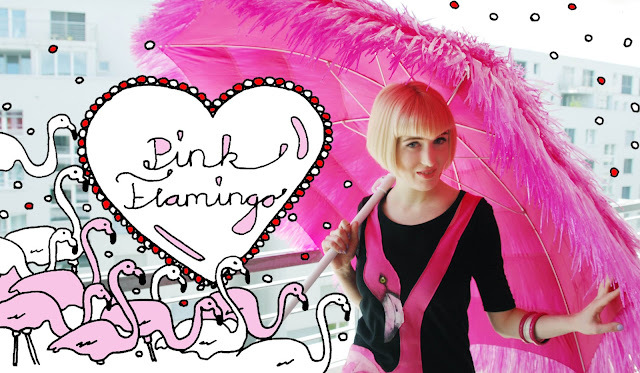 The original plastic pink flamingo was designed by Don Featherstone in the year 1957. In 1966 it won the Ig Nobel Prize for Art. 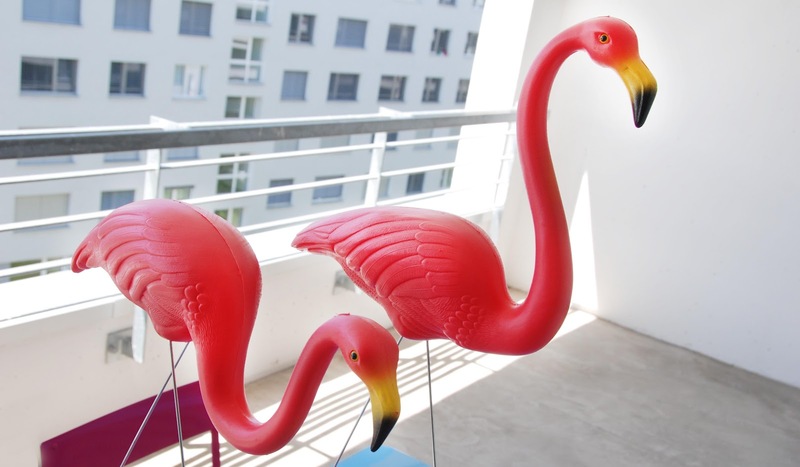 If it comes to garden decoration, the question is: Garden gnomes or flamingos? – Flamingos of course, would be my answer, without hesitating just a second! With their pink colour, they bring vibrance and brightness to a garden, no garden gnome could ever do. First, my dearest friend came back from his internship in New York. Because he is a very sweet friend, he made a wish of this girl come true and took a big box filled with two original Don Featherstone flamingos with him as a gift. I was so happy to have my own flamingos finally. 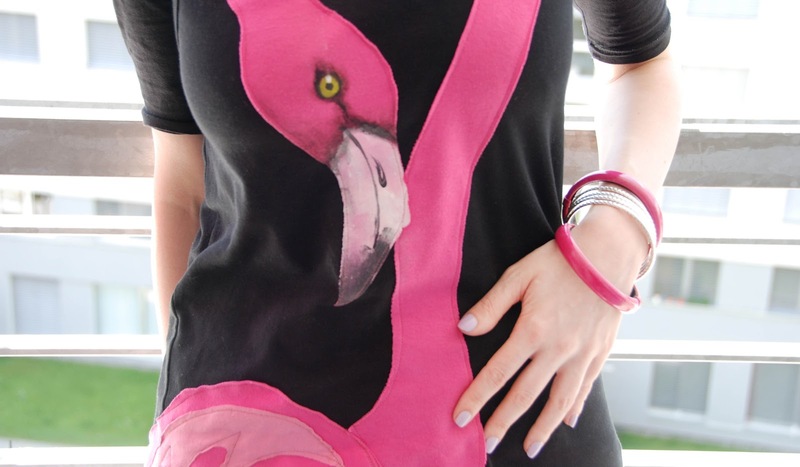 While shopping in London, the second flamingo-moment happened, when my other beloved friend spotted an amazing flamingo shirt from the Brazilian born designer Fernando Viana. I didn't know this designer before, but discovered that he is a big talent, creating amazing and unconventional fashion. With all the new flamingo friends in my life, I decided to have a little party on my balcony. I love the contrast between my pink balcony and the big gray buildings surrounding the house. If feels like there is a little pink paradise in the pallid world. 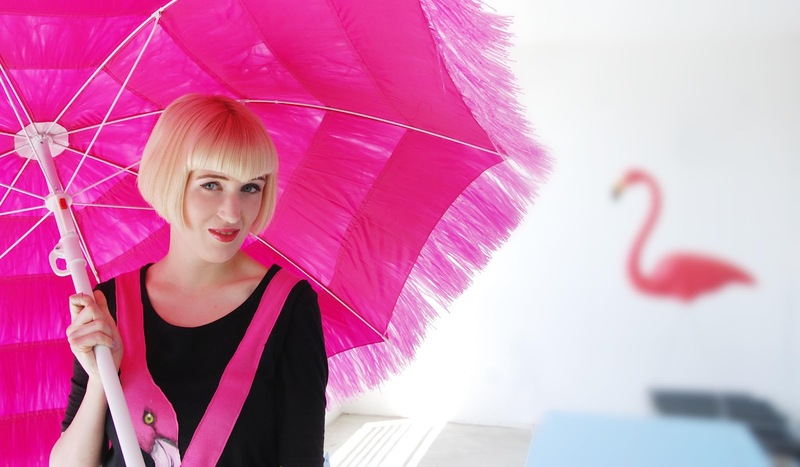 It's a happy thing to be surrounded by so many flamingos, spreading summer feelings even during rainy days. Omg wo findisch du immer nur all die coole Kitschige Sache?? Haha die Flamingos afach so cool! Great outfit! I love your colourful excentricity! 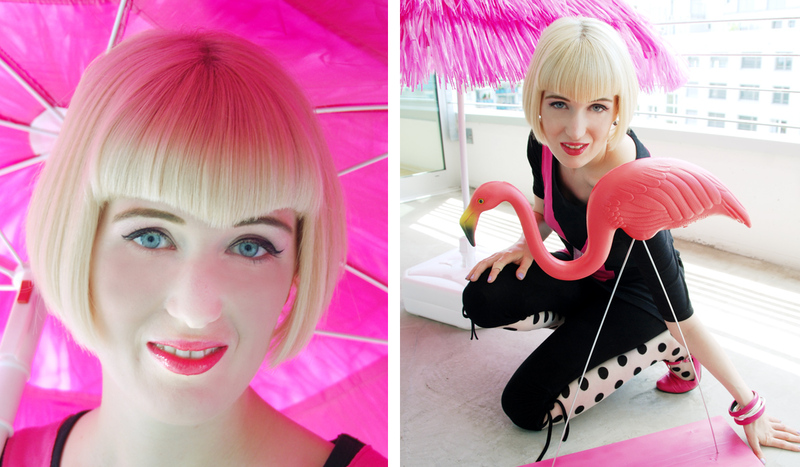 tolles outfit, toller schirm und tolle neue flamingo freunde auf dem balkon! Your flamingo shirt is so much fun! I love all the pink in this outfit. Such a cute pair of shoes too.